Setup: 8 Twists. 12 total Bystanders in the Villain Deck. 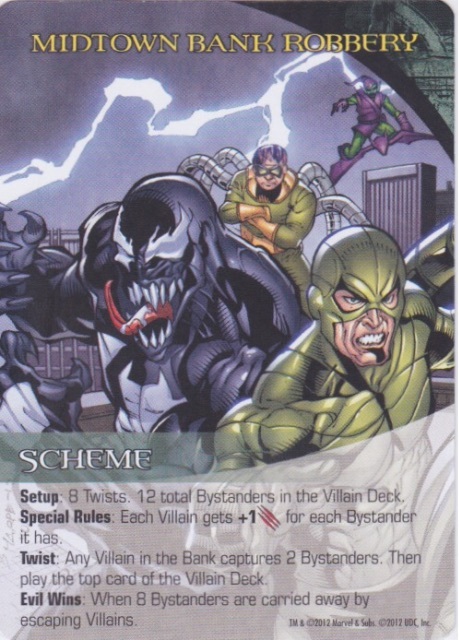 Special Rules: Each Villain gets +1 Attack for each Bystander it has. Twist: Any Villain in the Bank captures 2 Bystanders. Then play the top card of the Villain Deck. Evil Wins: When 8 Bystanders are carried away by escaping Villains. Setup: 8 Twists. 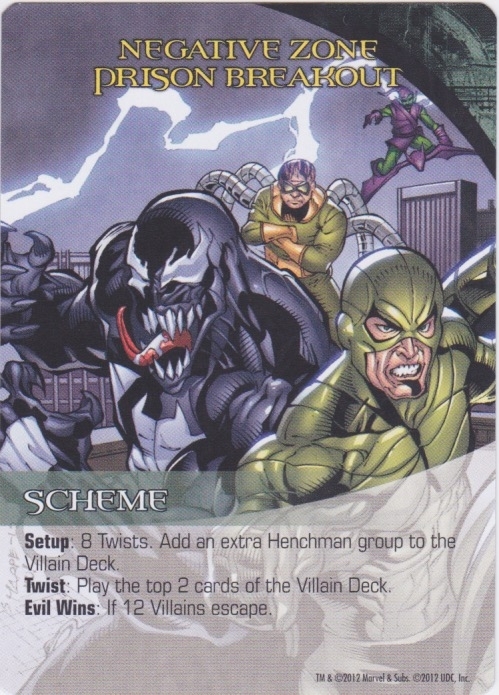 Add an extra Henchman group to the Villain Deck. Twist: Play the top 2 cards of the Villain Deck. Evil Wins: If 12 Villains escape.